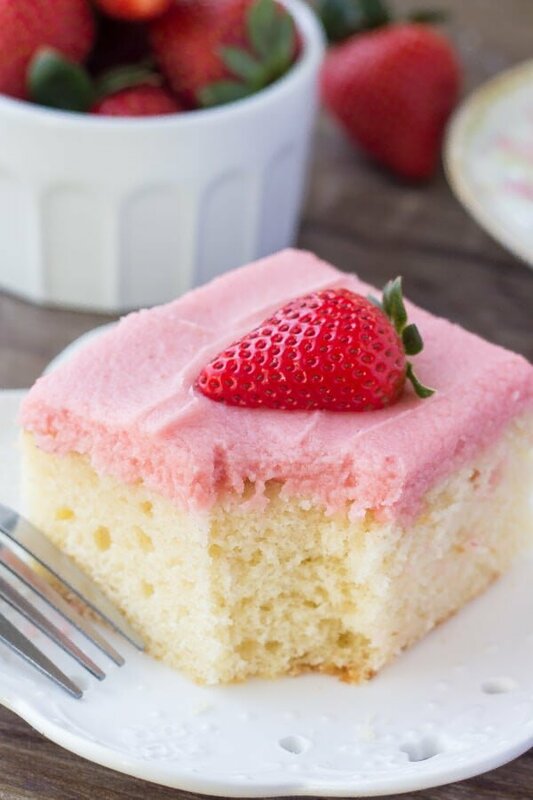 Soft, moist vanilla sheet cake topped with strawberry buttercream – you’ll love the flavor combo and pretty pink color of this vanilla cake with fresh strawberry frosting. 1. If there is too little moisture in a cake, it can fall in the center. However, too much moisture can also affect a cake. This commonly occurs in humid climates, where added moisture can collect naturally in ingredients such as flour. When this occurs, a cake can rise rapidly and then fall during baking. 2. Cakes have a tendency to fall whenever they bake too slowly. This typically happens whenever the oven isn’t preheated properly or the oven temperature is set too low for the recipe. 3. Over-mixing the batter will result in too little air in it, while under-mixing causes too much air in the batter. 4. Cakes that are under-baked are more likely to fall after you take them out of the oven. 5. Having too much liquid in your batter can affect the way your leavening agents perform. Too much moisture can result from adding extra liquid, or by adding too much of your dry ingredients. Batter that is too dry may also “puff up” while baking and then sink in the middle. 6. Opening your oven door can create a jarring sensation just like stomping across the floor can. This is especially true if your oven is not level or the door is especially difficult to open. For best results, you should open your oven door only as often as absolutely necessary to check for doneness. 7. You may think that adding a little extra baking powder or baking soda will actually help your cake rise higher; however, that’s not at all the case. Too much of either one of these ingredients will actually have the opposite effect, causing your cake to deflate in the center rather than raise. Hi there! It’s Fiona stopping in from Just So Tasty, and today I wanted to share a dessert that’s perfect for spring and summer. I don’t know about you, but very spring I get so excited as fresh berries come into season. The change in season rejuvenates me, and the new fresh produce always makes me so excited to get into the kitchen and bake. 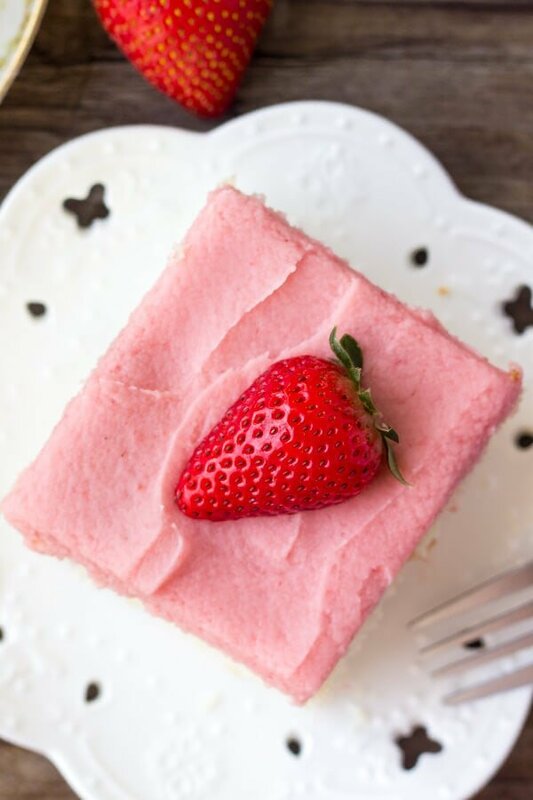 So when I was grocery shopping and saw ripe, juicy, bright red strawberries coming back in season – it was the perfect reason to make this vanilla cake with fresh strawberry frosting. 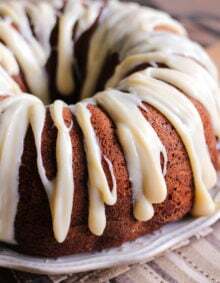 The cake is a simple vanilla sheet cake that’s made in a 9×13 inch pan. It’s fluffy and moist with a soft cake crumb and delicious buttery, vanilla flavor. But it’s the strawberry buttercream made from fresh berries that really makes this cake special. 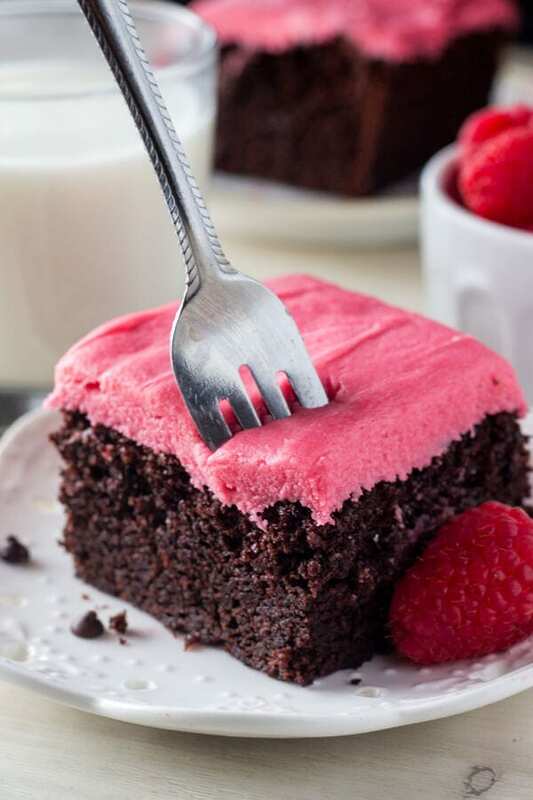 The buttercream frosting is fluffy and creamy with a delicious strawberry flavor that comes from fresh berries, so there’s nothing artificial or unnatural tasting. I love how the subtle strawberry flavor of the frosting compliments the vanilla cake, without overpowering. Can You Freeze a Cake With Buttercream Frosting? After you decorate your cake, put it in the freezer for a couple hours to set the buttercream. When the buttercream is set, wrap the entire cake with plastic wrap a couple times, followed by tin foil if the cake needs to be stored for more than a few days. Now making strawberry frosting using fresh berries takes a few extra steps, but it’s definitely worth the process. So I’m going into a little extra detail here on the process, and the full instructions and ingredients are listed in the recipe. First we process the fresh berries in the blender. Then the puree is pushed through a sieve to remove the seeds. The strawberry puree is then boiled in a saucepan to remove the water/excess liquid. The mixture will boil as you gently stir, and after the mixture boils down it will be thick in consistency and about 1/4 to 1/3 of the original volume. It’s so important to really boil down the puree and remove the excess liquid. Otherwise your frosting will be watery. Then the puree needs to cool fully. I recommend putting it in the freezer or fridge. From there, making the strawberry buttercream is straight forward. We’ll beat the butter with an electric mixer, then powdered sugar and the reduced strawberry puree are mixed in. Note that if the reduced strawberry puree is still warm when it’s added to the butter, the mixture will separate. So be sure that it’s completely cooled. 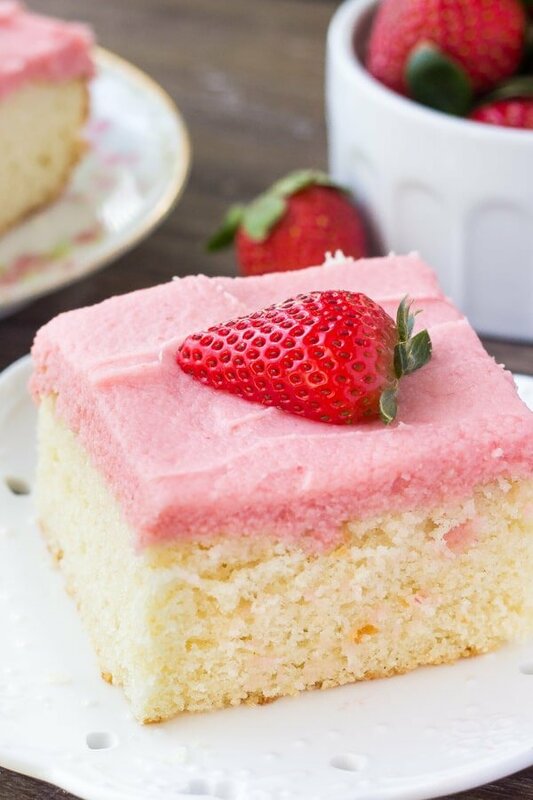 While there’s a few more steps involved than traditional vanilla buttercream, the delicious flavor of fresh strawberry frosting paired with the fluffy, moist vanilla cake is so worth it. 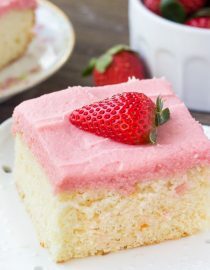 I love this vanilla cake with fresh strawberry frosting if you’re looking for something simple that’s a little extra special. 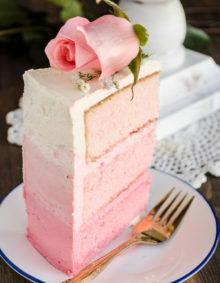 The strawberry frosting makes this cake so pretty, and the strawberries and moist vanilla cake is such a delicious combo. Grease and flour a 9×13 inch baking pan. Or line the bottom with parchment paper, and grease the sides. In a medium-sized bowl whisk together the flour, baking powder, baking soda and salt. Then in a second large bowl using a hand-held mixer on medium speed, beat the butter and sugar together until fluffy (about 2 minutes). Add in the 2 large eggs, 2 egg whites and vanilla extract and continue beating until combined (about 30-60 more seconds). Turn off the mixer and scrape down the sides of the bowl as needed. Then beat in the sour cream, followed by about 1/2 of the flour mixture. Finally, beat in the milk followed by the remaining flour mixture. Be careful not to over mix. Pour the batter into the prepared pan and bake for 30-35 minutes or until an inserted toothpick comes out clean. Allow the cake to cool fully before frosting. 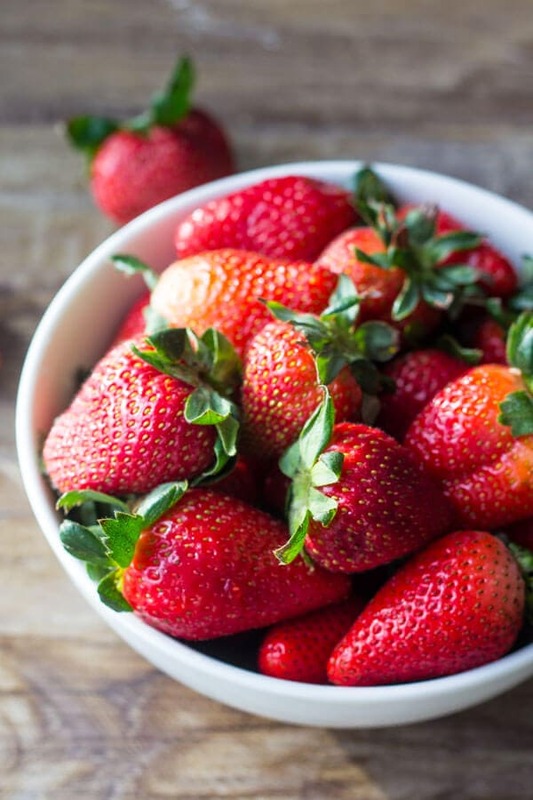 Core the strawberries to remove the white centers, then pulse in a food processor or blender until smooth. Pour the strawberry puree into a medium-sized saucepan over low-medium heat. Heat the puree until it gently boils while stirring occasionally. Allow the mixture to boil gently for 10-15 minutes until it’s thick in consistency and dark red-ish pink in color. When the mixture is done boiling, You should have about 1/3 cup left. Put the reduced strawberry puree in the fridge or freezer to cool fully. in a large bowl using an electric mixer on medium speed, beat the butter until fluffy. Then turn the mixer down to low speed and beat in 2 cups of the powdered sugar. Then turn off the mixer and add in 1/4 cup of the reduced strawberry puree (it must be cold when added), the vanilla and salt. Beat together on low speed. Then beat in an additional 2 cups of powdered sugar. Once combined, turn the mixer up to medium speed and beat for an additional 30 seconds. Beat in a little extra powdered sugar, and up to 1 tablespoon of cream as needed to get the desired consistency and sweetness level. Frost the cooled cake with the strawberry frosting, and optionally decorate each piece with half a strawberry. *Ingredients should be room temperature before getting started. **Leftovers can be stored in the fridge in an air-tight container for up to 3 days. 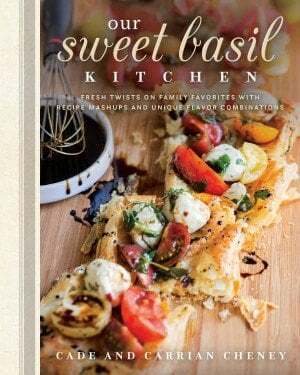 All images and text ©Fiona Dowling for Oh Sweet Basil. 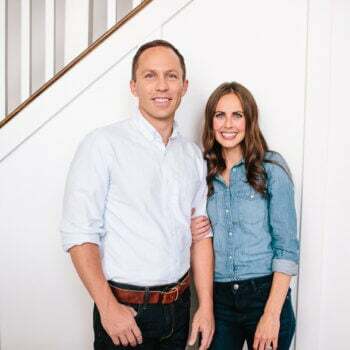 Head on over to my blog or connect with me on social media! I’d love to share more recipes with you! Can I replace sour cream with Greek vanilla yogurt like in your cupcake recipe??!! i just made the frosting & it’s delicious. 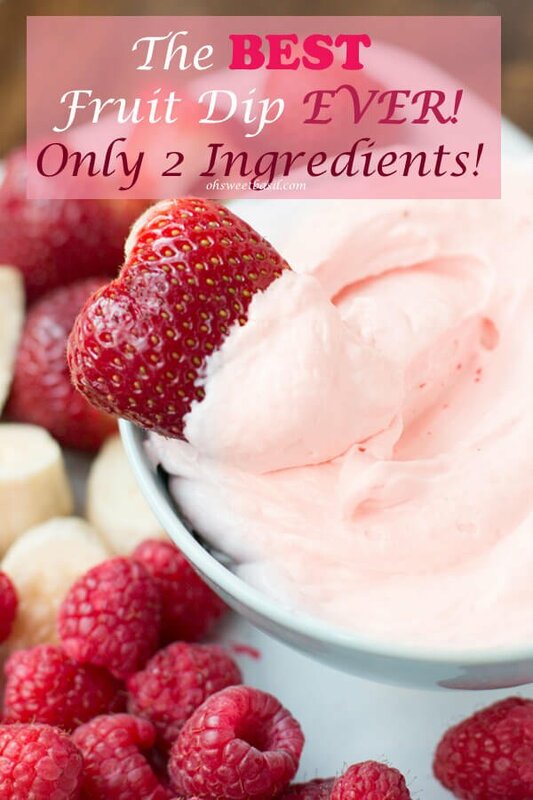 this was the only fresh strawberry frosting recipe i found with no seeds. 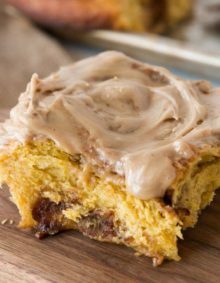 the seeds add a weird texture that leaves me wanting to chew the frosting. I have been looking for the perfect vanilla cake for ages now…I will have to try this! And I love the addition of fresh tasting strawberry frosting. YUM!